Medical care has become increasingly specialized over the last two decades. In fact, visits to specialists account for more than half of all medical office visits in the U.S., according to the American Association of Medical Colleges, or AAMC, a national organization focused on quality and safety among academic medical centers. As more and more patients access specialty services, wait times are getting longer and coordinating care across multiple providers has become more challenging. The University of Michigan is part of a AAMC initiative to increase access to and efficiency of specialty medical services by improving collaboration and communication between primary care and specialty physicians. The initiative is called Project CORE — Coordinating Optimal Referral Experiences — and it uses tools in the electronic medical record, or EMR, to refine the referral process. To streamline physician collaboration, the CORE model encourages the use of eConsults and enhanced referrals, both of which are implemented and used by providers in the EMR. The CORE project will be an innovative way to leverage our EMR to bridge … gaps and better provide the fully integrated care that our patients expect. –Rob Ernst, M.D. An e-consult allows a primary care physician, or PCP, to electronically consult with a specialist regarding specific questions about a patient’s care plan. The intent is for the specialist to provide guidance on straightforward, low-complexity issues in lieu of an in-person patient visit, so that the patient’s care can remain with the PCP. Traditionally, this type of exchange, referred to in the medical community as a “curbside consult,” has been informal. Using the EMR for eConsults allows for more transparency and better documentation of these exchanges. In addition, there is compensation to the specialist for their consultative advice and to the PCP for submitting the eConsult, and for following up with the patient with the specialist’s advice. When a specialist visit is necessary, CORE’s enhanced referrals create condition-specific templates within the EMR that help PCPs prepare patients. For example, the specialist may require new patients to complete a series of tests, or the PCP can help clarify the purpose of a specialty visit — whether the goal is for the specialist to take over their care or for the PCP and the specialist to co-manage the care. The templates will populate the referral in the EMR with relevant parts of the patient history and pre-referral evaluations. Enhanced referrals aim to make new-patient specialty office visits more meaningful and potentially reduce the need for return visits. The CORE initiative, which the U-M Medical Group has implemented for referrals between U-M providers only, is being funded internally, with all Medical Group departments contributing. The initiative has been rolling out since early 2016 in neurology, endocrinology and rheumatology. More than a quarter of primary care and family medicine physicians have utilized the system since it began. Project leaders say they hope to apply CORE in every division and department within the next two years. CORE was piloted at the University of California, San Francisco, and U-M is part of the second wave of AAMC organizations to roll it out. The first wave included Dartmouth-Hitchcock; the University of California, San Diego Medical Center; University of Iowa Hospitals and Clinics; University of Virginia Medical Center; and University of Wisconsin Health. The other five institutions in the second wave with U-M are East Carolina University Physicians; Greenville Health System; Ohio State University; University of Washington Medicine; and Wake Forest Baptist Health. The AAMC has provided support for each medical center, including online resources, site visits and opportunities for the institutions to share best practices during conference calls and in-person meetings. 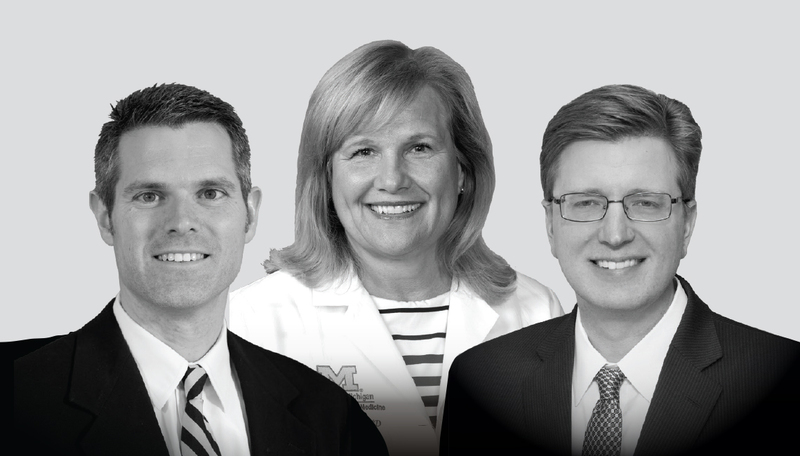 Additionally, the U-M is recording key metrics — such as changes in patient wait times for specialist appointments — and will present results to the AAMC after one year of program implementation. But project leaders expect CORE and its benefits to continue to evolve long after that milestone.